Hello, I bought my first Nokia 8 after a month long test for 400 EUR. I bought my first Nokia 8 after a month long test for 400 EUR. I was a huge Motorola man since the 90s, when they made great phones, but didn't really align to smartphone era, to say the least. I was ready to ditch Android as a platform and choose Apple because of so many bugs. I had phones costing up to 600 EUR, through which I couldn't even call people because of so many bugs. Nokia 8 was finally an Android phone I could really recommend. Everything was running slick, so many apps in the background running smooth, no need to restart phone every day or so etc. Lousy camera shots at low light (seems like only Samsung is able to deliver this), few little bugs with Viber/GSM calling not passing audio but all in all, by far best Android phone I ever owned. I bought another one, this time a dual-SIM one, battery life was little worse then single SIM, but I could live with it. And then it came ...Pie update ..... OMG! What a nightmare, what a broken piece of crap! - Battery life is now worse than ever (I have to recharge my phones immediately coming after work and not in the evening as usual). What happened to this adaptive battery thing? Before anyone says that Nokia 8 is not an Android One phone, I really don't care. It was even said before at one time that Nokia 8 will be promoted to an A1 device retroactively. - My Internet 4G data is breaking up each and every day. Every now and then I need to restart my phone to re-enable it and I thought that was finally history. I dial someone and talk to a party during which my Internet access is gone. Immediately after the call, it's there. Yesterday, I was at the restaurant, created a Wi-Fi hotspot tether and wanted to use my computer to help out a colleague, but I couldn't work during a call..cause there's no freakin' Internet!!!! - OK Google voice commands which I used daily with 8.1 is gone w/o any announcement...why? Nobody's talking about it. HMD had (at least looked to me) great public support to its customers comparing to Motorola non-existent one, via Twitter and such. Right now, it seems that is becoming just like them - non-answering, spin doctoring, spreading lies about already promised things etc, hiding under Google etc. This Pie update is an EPIC-FAIL for sure. I urge people not to update to it at all. There's no worse and more annoying thing for a customer having a great product/service being demoted to a piece-of-crap one. Companies like that do not survive. Right now, I'm so very disappointed at HMD. They won't fool me again, I can tell you. Right now, I wouldn't buy or recommend a Nokia phone to anybody. You right, but nit at all. The battery is almost the same for me, but I did clean installation. The 4G is also perfect and even the speed is faster than Oreo. For everything else you are right. One question Ognjen, did you do a factory reset after Pie update? My battery life and mobile data haven't been any different on the 9 beta as to what they were on 8.1 to be honest and i didn't do a factory reset or anything. To change to a different SSID you long press the WiFi icon, you don't have to navigate back to the settings. As for the other problems there isn't a lot you can say is there really, i think we are all becoming very disillusioned. @potemkin Why should I do that? Since when it's mandatory to do factory reset after every update? Is that like an Android must? What are you saying, am I responsible for all these issues? 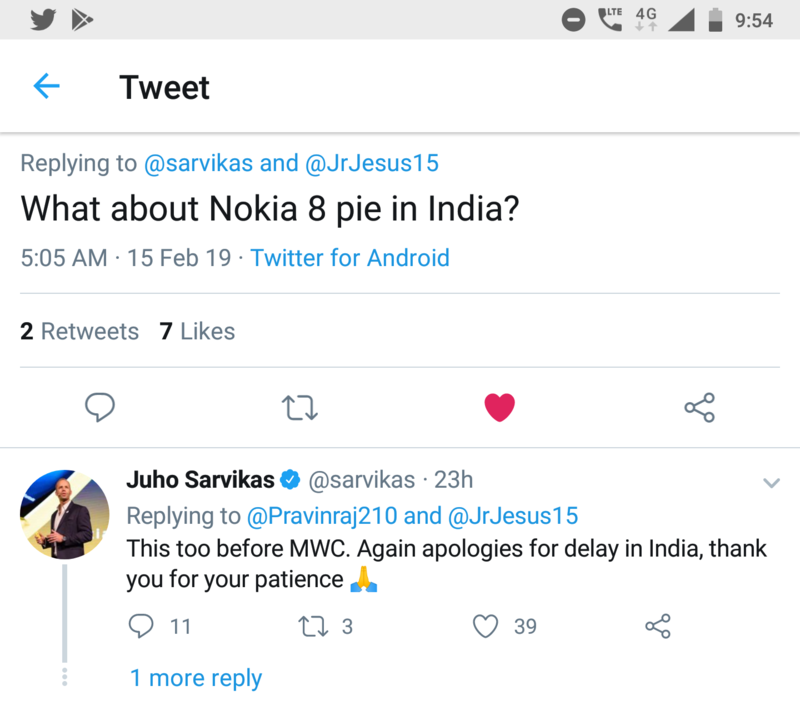 Are you working for Nokia, is this a support request? @mrbelter Battery life is so very bad compared to 8.1 on both phones, especially on dual-SIM. 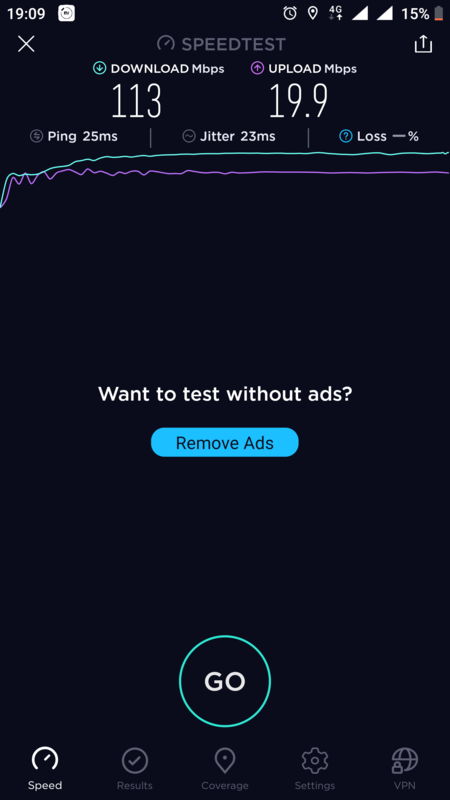 @Jivko Antonov Yeah, 4G speed is good and fast, when it works. It's the connectivity that keeps breaking up. This has never happened on 8.1. Problem is not 4G, it's the data icon not there at all occasionally (4G, 3G, H or what not). Nobody here works for Nokia or HMD. Factory reset is not a mandatory thing but it's a common knowledge (or I thought so) that even minor updates but especially major updates of the operating system can sometimes cause all kinds of problems and strange behavior. Update itself is not the cause of that but updating process didn't go well and that's why factory reset exists - to solve those problems. No device and no operating system is immune to this. So what you're saying is that i.e. when a customer has a Linux server and updates it, he/she should delete all its data, wipe the hard drive with magnet, and re-install from the start, in order for everything to work. That's not a common knowledge rather a time-consuming annoying thing for an owner to do, that serves as an excuse for vendor bugs ("yeah customer didn't factory reset, so that's why it's not working"). It usually doesn't do anything to help IMO, so why do it? So what you're is saying that i.e. when a customer has a Linux server and updates it, he/she should delete all its data, wipe the hard drive with magnet, and re-install from the start, in order for everything to work. That's not a common knowledge rather a time-consuming annoying thing for an owner to do, that serves as an excuse for vendor bugs("yeah customer didn't factory reset, so that's why it's not working"). It usually doesn't do anything to help IMO, so why do it? You are twisting my words. I didn't say factory reset is a mandatory thing after every update and I'm not saying Pie on Nokia 8 is without any bugs. It may be time consuming annoying thing but is a fact of life. I had to do it over the years for me and my friends on Android phones & tablets, iPhones, Windows phones & PCs... and it solved lot of problems. I did a clean manual install of Pie because I didn't want to wait for OTA update and I don't have any problems with battery life and internet data. It's same as on Oreo. This is a classic example of spin-doctoring, we ended up talking about factory reset, rather an issue on topic. HMD, we don't need apologetics on this forum, we need real answers to our proper requests for solving bugs. It's the best answer to all the criticism. You are a cool guy. I hope Sarvikas will give you all the answers you need. Sorry for you but I don't have a problem with the battery. I had battery drain only the first time after the update. After that it's life is exactly the same as Oreo. On 8.1, if you left phone idle, battery didn't drain at all. On Pie, it does rapidly fast. So that's a software bug. I noticed battery life improved after several charging cycles and I haven't done a factory reset either with the Pie release. The update needs to "bed in" first and then battery life and performance get back up to normal, sadly some people fail to realise this. That WAS the case with Android before 8 but not now. People expect everything to be perfect after every update and that isn't the case, background tasks WILL run the battery down quicker initially until the system finishes them. A "bed in"? Like John and Yoko? By "sadly some people fail to realize", you mean me and handful of others non-intelligent having this issue? I recharged my phones million times since the update, that does not explain idle battery draining. Yet I have a Nokia 8 that I have probably owned far longer than you and having used various Android devices no device works 100% perfectly immediately after an update!!!!! So, an update is now close to a month old. How many more months it takes for a "system to finishes them"? For a 400 EUR phone, that worked great, it sure damn well better be. For me and seemingly half of the Nokia owners with Pie update. - Compass calibration looks completely broken now. It has been since the December the 11th release of the beta, HMD have known for 2 months. Found out recently. So it's another bug after all. These are issues I encountered, there's also whole bunch of other stuff people are pointing to. I consider this firmware far from even being beta, so it begs a question why the heck was it pushed? HMD, what was the purpose of this firmware? To get us all mad as ****? When will the proper firmware be pushed? I take it fixes are not even in consideration, rather a whole new firmware. When? When? When? HMD, what was the purpose of this firmware? To get us all mad as ****?